Yesterday, I whipped up a batch of vegan and gluten free brownies from Oh She Glows, one of my favorite healthy food blogs. Unfortunately, I haven't gotten totally accustomed to this oven and ended up baking them a bit too long. They're tasty but a little dry and crumbly and not quite as chewy as I think hers were. Frost them, of course! 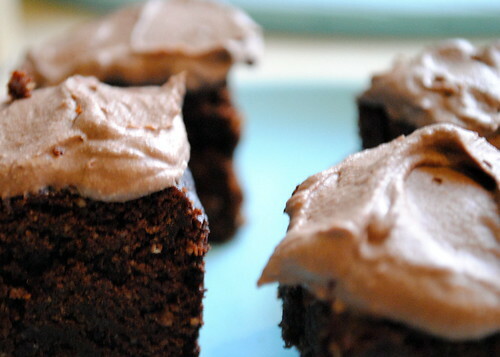 Who cares if cake or brownies are dry if there's frosting on them?! Okay, I admit that moist and chewy brownies with frosting are better than dry and crumbly brownies with frosting. But you get what you get. Today it's dry and crumbly. Hopefully tomorrow it'll be something better. 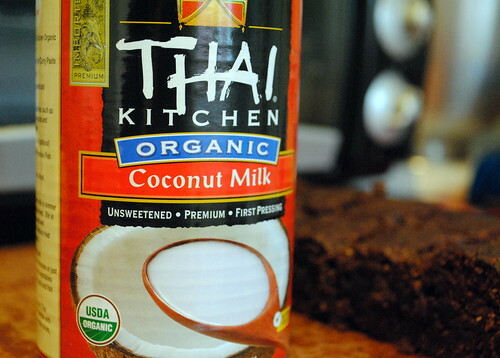 I've written before about the wonders of coconut milk. 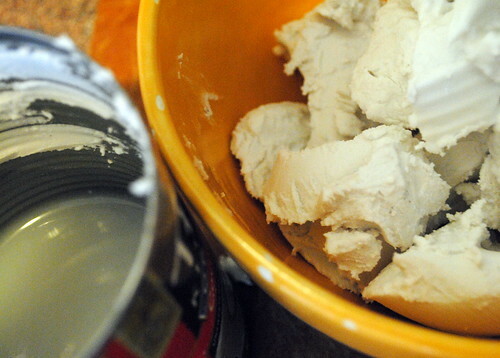 It's great for pulling together a quick vegan frosting that's oh so delicious. 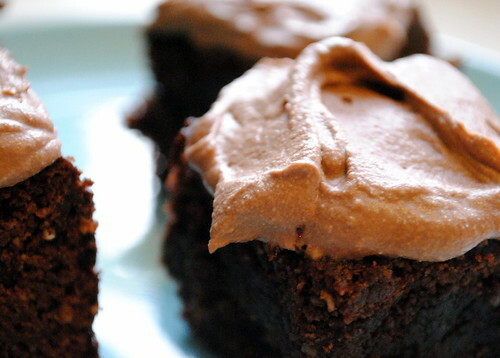 And this one's sugar-free chocolate frosting to boot! For the record, though we eat very little meat, we're not vegans. But Navah is lactose intolerant, and I can't eat eggs. So when it comes to baking, vegan tends to be the way we roll. And Navah doesn't eat refined flours or sugars, so our kitchen tends to look like a giant baking chemistry project. When my mom was helping me unpack, she told me (and this is a direct quote), "Katie, you've acquired a lot of things in your 31 years, and the majority of them are different types of flour." Enough chatter. On to the frosting! 1. 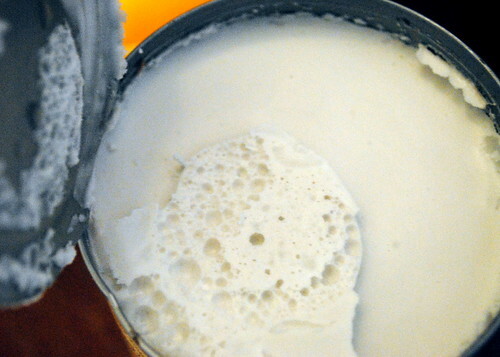 Scoop the coconut cream top out of the coconut milk can, making sure not to dig down too deep into the liquid part (which you can use in other recipes, like coconut curries, or put into a smoothie). 2. 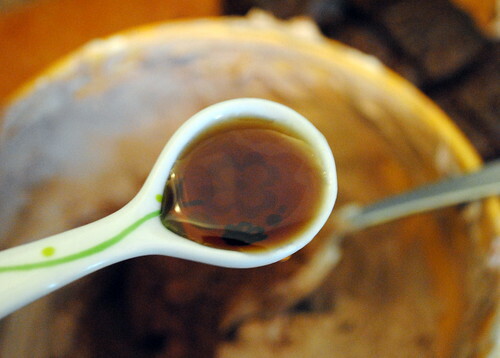 Combine the coconut cream with the cocoa powder, agave nectar, and vanilla. Amazingly quick and easy, eh? You can add another tablespoon of cocoa powder if you want a richer flavor, but I like how light this one is, especially with already-chocolatey brownies. You'll need to keep the frosting in the fridge if you can manage not gobbling it up right away. Coconut cream frosting that sits out overnight will spoil. Today's MVP Award goes to the vanilla. This is linked up at Allergy Free Wednesdays.